Tollywood movie buffs cannot forget renowned Bhojpuri star Ravi Kishan who took on Stylish Star Allu Arjun as Maddali Shiva Reddy and made a powerful entry down south with the super hit film Race Gurram that was directed by Surender Reddy. From then on, Ravi Kishan has been doing powerful negative roles locking horns with the top Tollywood stars. He starred in films like Kick 2, Supreme, Radha, LIE, MLA, Saakshyam and also starred in a special role in NTR biopic NTR-Kathanayakudu. 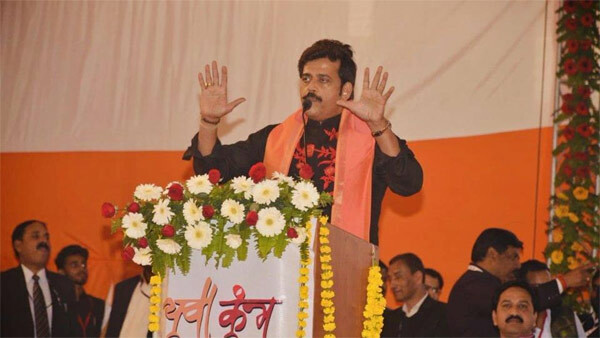 According to the latest Ravi Kishan is now in political race. He is contesting Lok Sabha elections from the prestigious Gorakhpur constituency in Uttar Pradesh on BJP ticket. It is known that this constituency has been earlier represented by UP Chief Minister Yogi Adityanath before he resigned to take over the reins of the largest state in the country. Ravi Kishan joined BJP in 2017 and he earlier contested to Lok Sabha in 2014 on Congress ticket from his hometown Jaunpur, eastern UP. He lost the seat getting a mere 4.25% vote under Modi wave. Top Bollywood Heroine Opposite NTR? What Is Chiru Doing In Kerala Forest?